The Asian Conference on Disaster Reduction (ACDR) 2007 took place for the first time in Central Asia, in Astana, Republic of Kazakhstan on 25 to 27 June 2007. 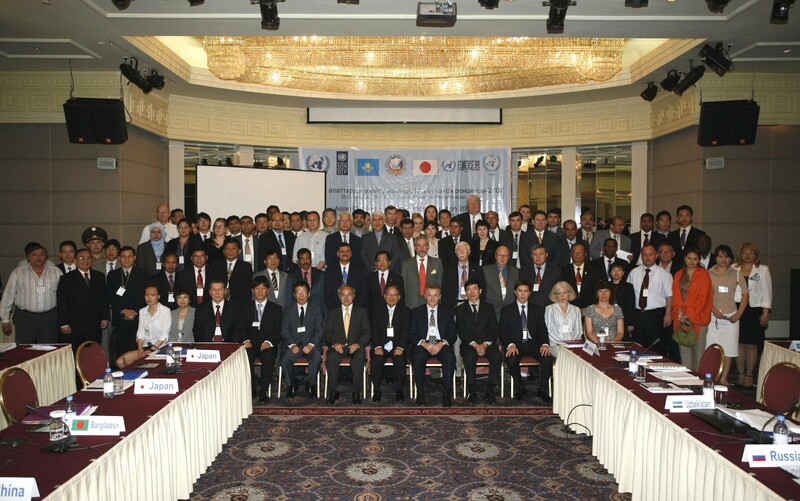 Hosted by the Government of the Republic of Kazakhstan, the ACDR 2007 was conducted in collaboration with the Government of Japan, the United Nations Inter-Agency Secretariat of the International Strategy for Disaster Reduction (UN/ISDR), the World Meteorological Organization (WMO), the United Nations Development Programme (UNDP), and the Asian Disaster Reduction Center (ADRC). A total of 136 participants including dignitaries and government officials from 22 countries and representatives of 32 organizations, among others, UN and international organizations, financial institutions, NGOs and civil society, as well as experts from academic institutions, attended the Conference. 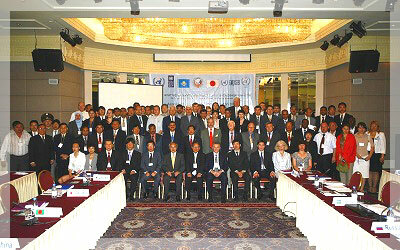 The ACDR2007 aimed to further review the progress made in Asia in the implementation of the Hyogo Framework for Action (HFA) adopted at the World Conference on Disaster Reduction in January 2005, present good practices and achievements, identify the challenges that still exist, and propose the ways forward for accelerating the process. It addressed the relevant topics of governance, education, applying scientific knowledge, public-private partnerships, and community-based disaster risk reduction. The unstinted support of the Ministry of Emergency Situations of the Republic of Kazakhstan, through the Honorable Minister and Conference Chair, H.E. Mr. Victor Khrapunov, and the Asian Disaster Reduction Center (ADRC), through the Executive Director, Mr. Koji Suzuki, was largely responsible for the success of the ACDR2007. The Honorable Senior Deputy-Minister, H.E. Mr. Katsuei Hirasawa, delivered a congratulatory message at the opening ceremony on behalf of the Government of Japan and as Conference Vice-Chair. Active discussion took place throughout the technical sessions and produced a Conference Summary which outlines the major concerns and challenges to be addressed. In conclusion, the Conference Chair, H.E. Mr. Khrapunov, stressed the need to accelerate the HFA implementation with a view to achieving sustainable development in the region and closed the ACDR2007. The Conference paid tribute to the Government of the Republic of Kazakhstan for their generous hosting of this important event.